Bronze color. Aromas of maple glaze, oatmeal-molasses cookies, prune, dried mango, bananas foster, and douglas fir with a glycerous, crisp, fruity sweet medium-to-full body and a sleek, interesting, medium-length alfajores, shortbread, vanilla bean, and cinnamon dusted cherries in syrup finish. A silky-smooth aged rum inflected with a maple sweetness and super sippable character. 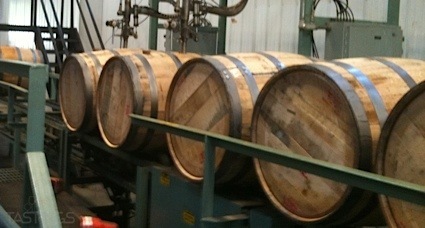 Bottom Line: A silky-smooth aged rum inflected with a maple sweetness and super sippable character. 98 • El Dorado 21 Year Old Special Reserve Rum 40% (Guyana) $99.99. 97 • El Dorado 15 Year Old Special Reserve Rum 40% (Guyana) $49.99. 93 • El Dorado 12 Year Old Rum 40% (Guyana) $35.99. 88 • El Dorado 8 Year Old Rum 40% (Guyana) $27.99. 86 • El Dorado 5 Year Old Demerara Rum 40% (Guyana) $19.99. 86 • El Dorado 3 Year Old White Rum 40% (Guyana) $16.99. Añejo and Age-Dated Rums are aged Rums from different vintages or batches that are mixed together to insure a continuity of flavor in brands of Rum from year to year. Some aged Rums will give age statements stating the youngest Rum in the blend (e.g., 10-year-old Rum contains a blend of Rums that are at least 10 years old). A small number of French island Rums are Vintage Dated. 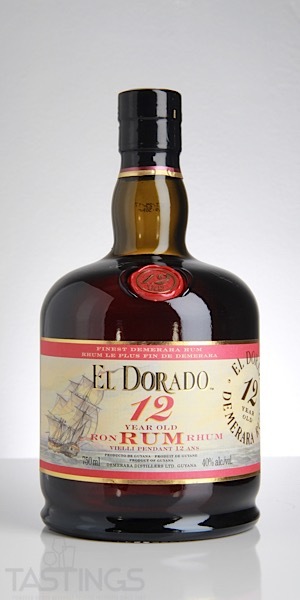 El Dorado 12 Year Old Rum rating was calculated by tastings.com to be 93 points out of 100 on 11/5/2018. Please note that MSRP may have changed since the date of our review.